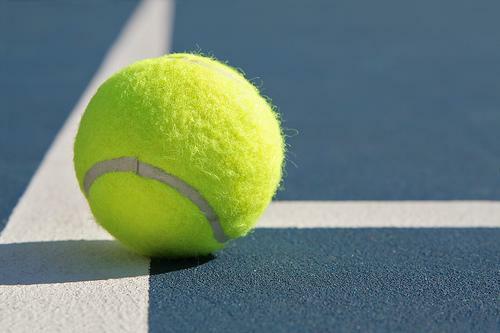 The Spring Lake boys tennis team defeated Sparta 8-0 on Monday to pick up an OK-Blue conference victory. Picking up wins for the Lakers were Eduard Lidke (No.1 singles), Josh Duer (No.2 singles), Callum Saxe (No.3 singles), Nate Starr (No.4 singles), Jonah Schmuker and Stephen Zambiasi (No.1 doubles), Connor Saxe and Jack Lauinger (No.2 doubles), AJ Dalman and Dawson Sherman (No.3 doubles) and lastly the team of Alex Matthew and August Druzgal (No.4 doubles). FRUITPORT TAKENS DOWN KENOWA HILLS –The Trojans took care of business on Monday, defeating Kenowa Hills 5-1. Winning matches for Fruitport were Reece Zeller (No.1 singles), Jordan Hennings (No.2 singles), Brady Weck (No.3 singles), Alexander Leonard and Emma Fehler (No. 2 doubles) and the team of Davis Gilbert and Richard Riekse (No.3 doubles).